Try our NEW Meal Replacements & Snack Routines! A well-rounded & nutritious way to fuel your on-the-go lifestyle. Jus by Julie offers Breakfast Packs, Lunch & Dinner Packs, Wellness Treatment Packs and Healthy Snack Routines! Realher was created by Bill Xiang for her daughter in the idea to make a difference for the world for all women. -Enjoy 10% OFF Your Entire Purchase At SuzanneSomers.com – Just Use Discount Code "Suzanne10" Today! Try NEW Meal Replacements & Snack Routines! A well-rounded & nutritious way to fuel your on-the-go lifestyle. Jus by Julie offers Breakfast Packs, Lunch & Dinner Packs, Wellness Treatment Packs and Healthy Snack Routines! ALWAYS Proud to introduce you Organimals! 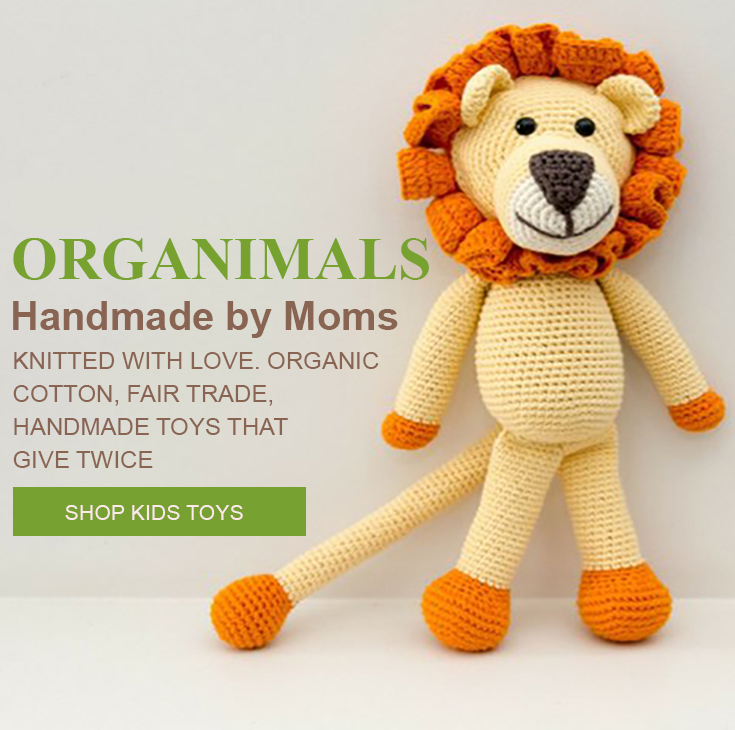 Handmade by a team of underprivileged moms who lovingly craft these heirloom-quality safe stuffed animals from GOTS certified organic cotton yarn. From sheep to monkeys, dogs, cats, elephants and other animal favorites, these stuffed animals will delight kids receiving them as gifts. They come in bright colors and soft neutrals and also make wonderful baby gifts. The women who make Organimals are allowed to bring their children to work, where the facility provides a playroom with books and toys and baby facilities. Through this experience, a dedicated group of women and moms has been born to support each other. Flexibility and fair wages are also key. Once trained, these moms are empowered to be able to work from home - allowing them to both support and care for their families. offering FREE SHIPPING with an order of 2 or more. No code is required. We spend 1/3 of our lives in bed resting and rejuvenating. Conventional mattresses, sheets, pillows and many other bedding products are made with all kinds of toxic chemicals and finishes that are bad for our health. From pesticides and heavy metal dyes used to grow cotton to brominated or chlorinated fire retardants used in the production of mattresses, these are chemicals that have no place near our bodies! At The Ultimate Green Store they believe everything can be made a better way! They are committed to carrying products that are made with respect for your health and our planet. Bedding section, where you can find all of their non-toxic bedding options including organic mattresses, mattress pads and toppers, sheets, comforters, pillows and more : Bedding. Coyuchi Organic Sateen Sheets & Bedding ($27 - $306) Sateen sheets are lustrous on one side and slightly matte on the other. This 100% organic cotton sateen is loomed to a 300-thread count in a buttery sateen weave that resists wrinkling. Price: $375 - $485 This all-natural 250-thread count comforter is filled with 100% pure grown organic wool and covered with organic cotton sateen fabric. Features temperature range selection: Cool Comfort Perfect Comfort or Extra Warmth. Hand tufted every 6"- 8"
Price: $185 - $325 Handmade with care in the USA this eco-friendly mattress protector is made from thick-felted 100% organic wool textile and features elastic straps to keep it in place. Available in Twin & Twin XL Full Queen King and California King. Price: $135 - $170 This is the most malleable pillow we offer. Shape it hug it even unstuff it a little if youâ€™d like. We designed this pillow to support you the way youâ€™d like to be supported. The tiny wool puffs are similar to down feathers in the sense that you can move the filling around to be any shape you desire. The wool puffs have more substance than down and can take a shape and hold it...until you want it to move it around to a different shape. This pillow wonâ€™t compress as much as regular wool batting pillows tend to do plus it is easier to wash and care for than our other wool products. Price: $129 This eco-friendly certified organic cotton & wool neck pillow is handmade in the USA using cruelty-free methods and designed with contoured neck boldsters on either side for orthopedic neck & cervical allignment and support. Size 20"x25." -5+ items from the collection 50% off. No code needed. --3 items from the collection 30% off. No code needed. For many years reuseit.com® was known as ReusableBags.com®, a site that played a very important role in spawning the reusable shopping bag movement & in raising greater awareness of the plastic bag problem. Yet, through reuseit’s broader vision and actions, They found the potential to be so much more than just reusable bags. It is important to them that they continue to evolve, while also maintaining the eco-conscious viewpoint that has earned your trust for years. They strive to offer a range of products that are sustainable and eco-friendly, and of course, reusable. Their goal is to be the premier retailer of products that have a reasonable level of sustainability and that aid you in maintaining an eco-conscious lifestyle—one that pushes towards maintaining a low environmental impact, reducing waste, eating healthy, engaging in physical activity and more. They aim to provide you with quality products that make living out these choices easier everyday without having a negative impact on our precious environment. -Call Now: 844-850-5964- Wise Food Storage has the highest quality freeze-dried food available today. Made with premium ingredients in the U.S.A.
Tesla Generator - making history on CB! free energy Click Here! Shop now for organic nuts -Shop now for organic seeds -Nuts, seeds, chia, dried fruit Shop organic now ! http://www.boutiqueprana.com for a limited time ! -Wise Company Gluten Free 152 Serving Freeze Dried Fruit - Buy Now at $159.99! -Get a FREE Sample Package of Wise Company Foods Now!